The goal of the IT Department is to ensure that all AnswerFirst staff and clients have access to the IT infrastructure, services and support that they require to accomplish their work efficiently and effectively. The IT Department is responsible for maintaining the necessary IT infrastructure for all other departments, as well as supporting all business, e-business, decisions and project planning tools used at AnswerFirst. AnswerFirst’s business model requires a reliable infrastructure; our call center is open 24/7/365 and downtime is unacceptable to us and our clients. Therefore, the IT Department plays a crucial role in supporting our clients and our Operations Department via the implementation of a fully redundant infrastructure that is not only reliable but secure. Implementing back-up systems for back-up systems is common practice and testing fail over procedures is a major department focus. 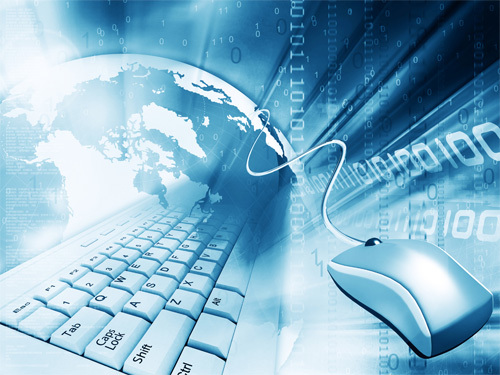 Also, the IT Department must work closely with all departments for the purpose of refining all business processes through the use of technology; IT is constantly looking for ways to decrease costs by increasing efficiency and ROI, and boosting productivity of all departments within the corporation. The IT Department is the backbone of AnswerFirst, providing reliable structure and solid support; without this department AnswerFirst can’t sustain or grow. Providing excellent customer service should be a major priority for any business owner because happy customers are repeat customers. Here are a few basic tips that will help improve your customers' experiences with your business. Listen to your customers. This may seem like an obvious suggestion but so many business owners and managers get caught up in the day-to-day tasks of business management that they forget to pay attention to what their clients are saying. In most instances, an unhappy customer will let you know that he or she is unhappy and a client that wants a product or service that you don't offer will say just that. Take these suggestions to heart. Can you implement changes that meet your clients' needs? Do what you say you are going to do and do it on-time. This is another obvious point. Set your customers' expectations correctly and then deliver. It doesn't matter if you sell widgets or repair cars, there is no easier way to upset clients then to not meet your commitments in a timely manner. If you disappoint your clients, the only way they'll continue to use your services or products is if there are no alternative sources and, that's pretty unlikely in this day and age. Honor your commitments on-time. Empower your employees. Whether your employees have contact with your customers via phone or in-person, attitude makes a huge difference. Disgruntled employees can make any customer service experience a complete disaster. Make sure your employees are happy and give them the authority to make decisions on the fly. Set-up customer service guidelines and praise your employees when they make the right choices within the guidelines. Happy employees will make sure that your customers are happy, too. Surprise your customers! Free gifts like a roll of Lifesaver candies in a shipment, "Thank You" cards, loyalty coupons or Holiday Cards help strengthen your relationships with your clients. Invest some time and effort into making your clients feel appreciated. Get an answering service. Okay, you knew we had to lead into a shameless self-promotion at some point. Seriously, though... an answering service can provide your clients excellent customer service when you or your employees aren't available to answer your phones. You pay only when we answer your calls and know that when your phones are forwarded to us, your clients are getting the best customer service available. Interested in more information about our affordable answering services?? Fill out our pricing packet request form and we'll send you information about our services asap. Or, call us at 1-800-645-2616. AnswerFirst Winter Mailer 2011 Front, a photo by AnswerFirst on Flickr. 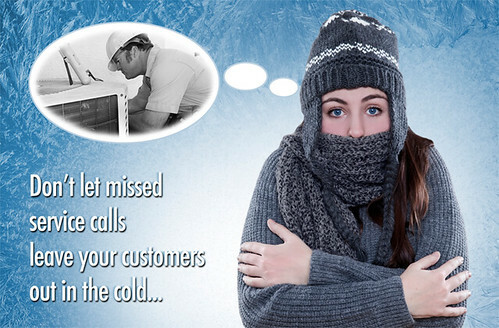 43% of callers will not leave a message in a voice mail ... don't miss another opportunity!! 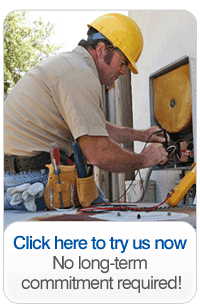 We have over 20 years of experience providing answering services for the heating & cooling service industries. Free 24-hour secure web access to all of your critical account data. Answering service solutions that fit your needs and your budget. Automatic discounts for high volume months. Call today and get started for just $20!! At AnswerFirst our management staff is split into four departments: Operations, Sales, Marketing and IT. Each department is responsible for specific duties that are crucial to the success of the other departments and AnswerFirst, as a whole. Through collaboration and focus these four departments are consistently successful at achieving our mission to provide the best customer service to our clients and our clients’ callers, in a timely fashion and as efficiently as possible. Our next few blog posts are going to be about the responsibilities of each of these four main departments and how they interact with each other to make AnswerFirst successful. Our Operations Department is the front-line of our business; they are responsible for ensuring that we provide the best possible customer service experience to our clients and our clients’ customers. This department is made up of Customer Service Professionals, Supervisors and Account Representatives; these team members each perform unique job functions but are closely integrated with each other. Communication between team members is vital to the success of the entire Operations Department; department team members meet on a regular basis to develop new services for our clients, more efficient job procedures for our staff, and fun and inventive ways to keep our department enthusiastic and focused on providing excellent customer service. 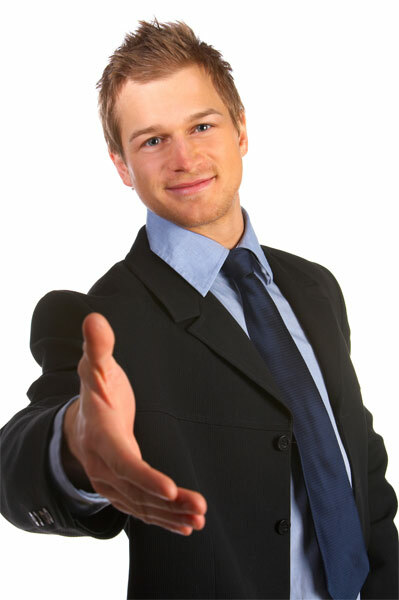 Customer Service Professionals are the face of our business and deal with our clients’ customers directly. They answer the phones, send emails, schedule appointments, take orders, provide instructions or guidance to callers and much more. This team of 50 agents rely on each other to meet and maintain the expectations of our clients; they are solely responsible for the “AnswerFirst Experience.” Supervisors manage our Customer Service Professionals and deal directly with clients when issues arise; they are also responsible for more complex account handling tasks and serve as leaders in the Operations Department. Our Account Representatives work with new clients to configure their accounts and assist them and their businesses with transitioning to AnswerFirst. The entire Operations Department enjoys a fun family atmosphere while still meeting and maintaining the service level expected from our clients and their customers. Operations works with all of the other managerial departments to refine the services that we offer and to implement new services. Operations relies on IT to provide them with new and more efficient technologies and a secure and reliable infrastructure. Operations also works with the Sales Department in transitioning new clients to AnswerFirst in a smooth and prompt manner. The Operations Department is the core of AnswerFirst because this department provides the service that is AnswerFirst; without our Operations Department there is no service to offer our clients. Media Personalities and Professional Athletes at the Pitch For Pink Event on July 22, 2011, a photo by AnswerFirst on Flickr. 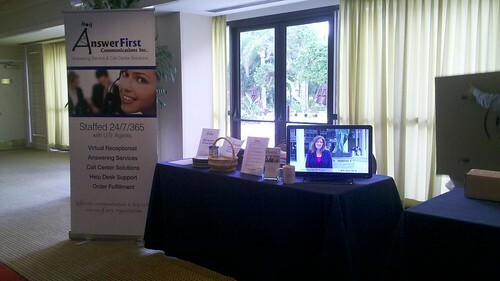 AnswerFirst Communications, an international telephone answering service and customer service solutions company specializing in answering services, virtual receptionist and call center solutions, announced this week that their Marketing Coordinator, April Gillmore, attended the Pitch For Pink Breast Cancer Awareness Benefit at Brighthouse Stadium in Clearwater, FL on Friday, July 22, 2011. The Sixth Annual Pitch For Pink was a minor league baseball game and charity event featuring the Clearwater Threshers against the Fort Myers Miracle. Prior to the game, local celebrities including a mix of media personalities and professional athletes including Jen Holloway, ABC weather's Dennis Phillips, NBC traffic reporter Leslee Lacey, Buccaneers players Derrick Brooks and Maurice Stovall and more took the field for a softball match. 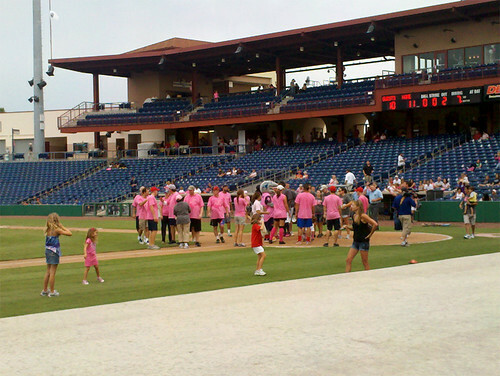 After the celebrity softball game, breast cancer survivors walked a lap around the field before the Clearwater Threshers took the field in pink jerseys. The event also included a silent auction where game worn jerseys, autographed pink bats, pink balloons and a football signed by Mike Alstott were auctioned. All proceeds went to Morton Plant Mease breast health services and programs. AnswerFirst Communications, Inc. is based on Tampa, FL and provides answering services, virtual receptionist and call center solutions to customers internationally. For more information about AnswerFirst's answering service and call center solutions please visit their website or call Teri Erickson at 1-800-645-2616. 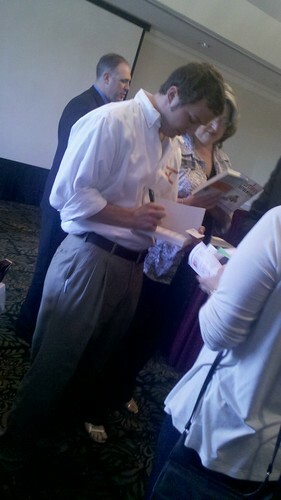 Nick Friedman at South Tampa Chamber of Commerce Luncheon on 7/20/2011, a photo by AnswerFirst on Flickr. AnswerFirst's Business Development Coordinator, Teri Erickson, attended the South Tampa Chamber of Commerce weekly luncheon today and had the opportunity to hear Nick Friedman, the co-founder of College Hunks Hauling Junk, give a speech that she described as both "educational" and "fun". After his presentation, Nick signed copies of his book, "Effortless Entrepreneur" and met with members of the South Tampa Chamber of Commerce on an individual basis. For more information about AnswerFirst's answering service and call center solutions please visit their website or call Teri at 1-800-645-2616. AnswerFirst Answering Service Welcomes Kevin Glenn, a photo by AnswerFirst on Flickr. AnswerFirst Communications, a U.S. based telephone answering service and customer service solutions company specializing in answering & messaging services, contact center and virtual receptionist solutions is pleased to welcome Kevin Glenn. Kevin joins the AnswerFirst team as the Business Development Representative for the Tampa, FL operations center under the guidance of Business Development Coordinator, Teri Erickson. Kevin will be responsible for identifying business opportunities, approaching prospective clients and, building and maintaining client relationships. Aside from his work with AnswerFirst’s clients he’ll be developing business plans and marketing strategies to gain better recognition of AnswerFirst’s brands and services. Kevin will place any additional time and efforts on building relationships between AnswerFirst and local grassroots organizations and other community-oriented groups and projects as part of AnswerFirst’s ongoing dedication to the Tampa Bay community. Prior to joining AnswerFirst, Kevin played wide receiver for the University of Florida from 1989-1993 and graduated from U.F.’s College of Journalism and Communications with a Telecommunication degree. After college, he spent 14 years as a television sales rep for several national media companies. 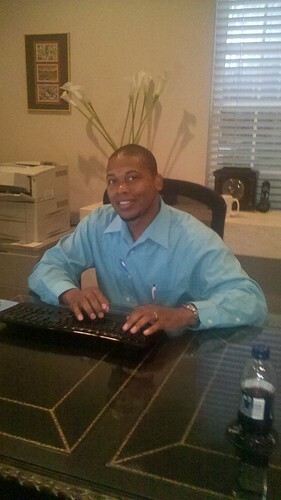 He worked in Atlanta for 7 years and relocated back to the Tampa Bay area in 2007. Locally, he spent 3 years as an Account Executive with WTVT-TV Fox 13 and then he spent 3 years as an Account Executive with WWSB-TV ABC 7 in Sarasota. He was also the sports correspondent for the Football Friday Night Game of the Week for ABC 7. He is a freelance high school football analyst and has also done broadcast games for Comcast Sports South. Teri Erickson, National Business Development Coordinator for AnswerFirst said, "The economy is still weak but we’ve been able to adjust and maintain through the downturn and we’re currently focused on increasing our market share and improving sales. Kevin brings us the experience and skills that we need to achieve these goals." As the demand for answering service and call center solutions increases, AnswerFirst continues to invest in business development strategies with the intention of increasing market share, gaining brand recognition and creating jobs. For more information about AnswerFirst's answering service and call center solutions please visit their website or call Kevin at 1-800-645-2616. "I just wanted to let you know, the dispatcher who forwarded this call did a GREAT job. The lead did not know any English and so your agent stayed on the line to translate for us. I believe that it was going above and beyond the call of duty and feel extremely appreciative. I know most of the time you hear about the bad stuff, so I thought I should take some time to share some of the good stuff as well!!!" AnswerFirst Answering Service Clients, a set on Flickr. AnswerFirst Communications, an international telephone answering service is negotiating with JJ Taylor Distributing to provide answering service solutions for their Tampa location. Listed below are some of the standard features available with Client Web Access. In addition to these features, Client Web Access provides another layer of redundancy for your account information. Client Web Access is available from any web browser anywhere in the world and all data is available in real time. As soon as a message is saved by one of our agents, it is available in CWA. Would you like to try Client Web Access? Call this live demonstration account to leave a message with one of our friendly agents. Our agents can process your message, order or even schedule an appointment for you when you call. Experience what it will be like when we start answering your calls. Once finished, you can then login to Client Web Access to access the message you left, listen to your call, run a report, etc. For appointment scheduling this account employs a FREE Google Calendar. Teri Erickson, AnswerFirst's Business Development Coordinator, provides useful tips to consider when shopping for an answering service. AnswerFirst is an answering service and contact center solution provider based in Tampa, FL that provides service to more than 1400 clients worldwide. Contact Teri at 1-800-645-2616, sales@answerfirst.com or visit our website at http://www.answerfirst.com for more information. 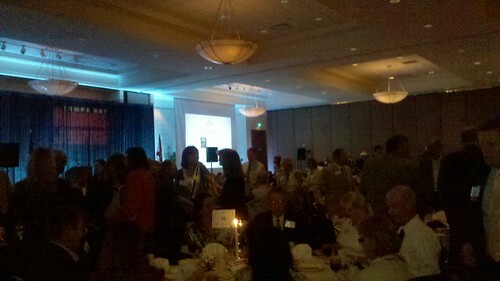 AnswerFirst Answering Service Attends TBBJ Nonprofit of the Year Awards, a photo by AnswerFirst on Flickr. AnswerFirst Communications, an international live telephone answering service and customer service solutions company specializing in answering & messaging services, virtual receptionist and call center solutions, announced this week that they will attend the Tampa Bay Business Journal (TBBJ) 2011 Nonprofit of the Year Awards Luncheon at the Embassy Suites in Tampa. The TBBJ advertises this year’s event as the sixth annual Nonprofit of the Year Awards event and special publication dedicated to recognizing the nonprofit organizations who are making a difference in the Tampa Bay area every day. An independent panel of judges named 40 organizations finalists for the 2011 Nonprofit of the Year awards; each organization is a 501(c)(3), non-foundation community organization in Hillsborough, Pinellas, Polk, Hernando, Sarasota, Pasco or Manatee counties and has an established date prior to January 1, 2008. According to its website, the Tampa Bay Business Journal is a printed publication that features local people and decision makers who are leaders in their business communities. They report on local and national issues that impact subscribers' businesses and assist them in growing their companies. Printed each Friday, the business journal includes topical listings and business leads for new business licenses, building permits, real estate transactions and court judgments. 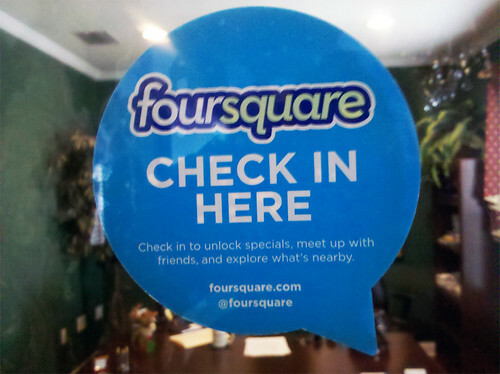 AnswerFirst is on FourSquare, a photo by AnswerFirst on Flickr. How Reliable Is AnswerFirst's Infrastructure? Our IT staff makes an extraordinary effort to insure our call center stays operational. Our telephone answering service was designed and built to function both during and after a category 5 hurricane. On premise we maintain our own power plant and utilize redundant telephony, including multiple circuits from different providers. Software and hardware are protected by the use of redundant servers, switches and routers, including both physical and virtual machines. The other area of concern is employee reliability and attendance. To avoid attendance issues, our call center uses a mix of both in-house and remote virtual receptionists; we always have agents with access to our systems. In short, our systems and center are very reliable, however we also understand the need to communicate should something happen. In the event of an emergency we are able to quickly notify clients via e-mail or fax through the use of our robust automated communications platform. In addition we encourage our clients to follow us on Twitter and Facebook as important updates also may be found there. Happy Birthday U.S. Army! - June 14, 2011, a photo by AnswerFirst on Flickr. AnswerFirst Communications, an international telephone answering service and customer service solutions company specializing in answering & messaging services, virtual receptionist and call center solutions, announced this week that they attended the Association of the United States Army Suncoast Chapter’s Purple Heart and Cake Cutting Ceremony at the V.A. Hospital in Tampa, FL. 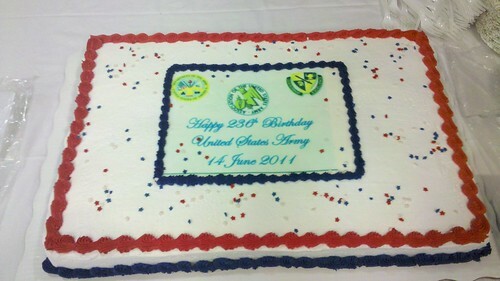 The ceremony was a celebration of the United States Army’s 236th birthday which fell on June 14, 2011. The Association of the United States Army (AUSA) is a private, non-profit educational organization that has been supporting America's Army - Active, National Guard, Reserve, Civilians, Retirees, Government Civilians, Wounded Warriors, Veterans, and family members since 1950. The AUSA represents every American Soldier by being the voice for all components of America’s Army, by fostering public support of the Army’s role in national security and by providing professional education and information programs. AUSA works to support all aspects of national security while advancing the interests of America's Army and the men and women who serve. AUSA also provides numerous professional development opportunities at a variety of events both local and national. The Suncoast Chapter includes MacDill Air Force Base, home of the US Central Command and the US Special Operations Command both of whom provide operational support for the Chapter. The Purple Heart and Cake Cutting ceremony was held in honor of the U.S. Army’s 236th birthday and attendees included AUSA corporate sponsors and representatives of the United States Army including veterans, officers and enlisted soldiers. "Hi! 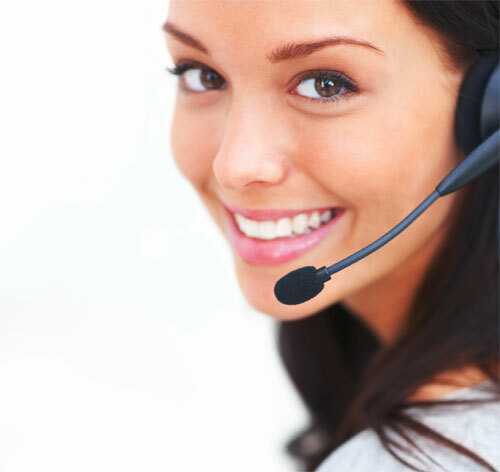 I just wanted to let you know, we’re very happy with Answerfirst's answering services! The receptionists have been professional, friendly and helpful. Thanks so much for checking up on us." Contact us today for more information about how we can help you offer your clients better customer service while helping you run your business more efficiently. You can't afford to miss your customers' calls. At AnswerFirst, we provide answering services to businesses in the HVAC, heating, cooling, air conditioning, ventilation and ducting industries. Your customers need to be able to reach you at all hours of the day and night. Routing calls to our call center that is open 24/7/365 is the perfect way to handle your customers' needs. 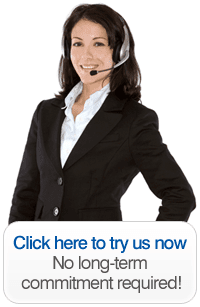 Our agents evaluate each call and handle your customers according to your specifications. Your messages are delivered via whatever method(s) you choose: via text message, email, cell phone, pda, fax, paging or voicemail. You only pay when we answer your clients calls. We don't bill for minutes that you don't use and you automatically recieve discounts when your call volume increases. We do not outsource. 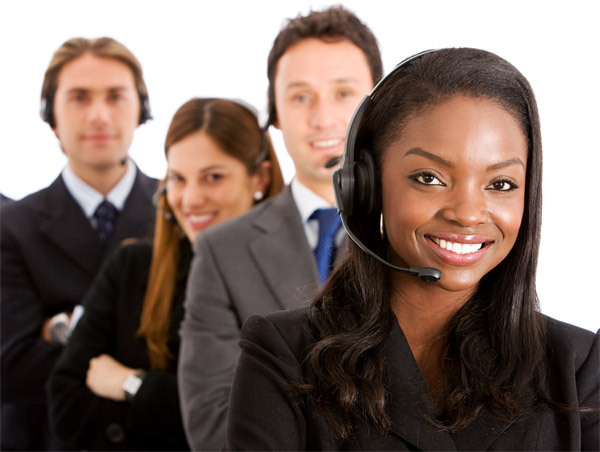 Our call center is located in the U.S. and staffed with live U.S. agents 24/7/365. Our agents are required to have a background in customer service and to complete our intensive in-house training programming. Do you have questions about our answering services? Please call 1-800-645-2616 or contact us for assistance. How do we configure your answering service account? 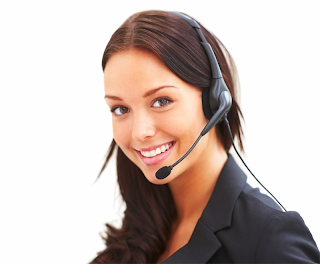 Everything about your answering service or call center account is customized just for you. We can answer in your company name or any way you wish. We will collect whatever information you desire based on the type of calls we answer for you and of course you can choose any of the many different methods we offer for delivering your information including text, email, fax, call patching, call forwarding and more. We can also provide information to your callers as well as completing other tasks. What if you don't want your customers to know that you use an answering service? 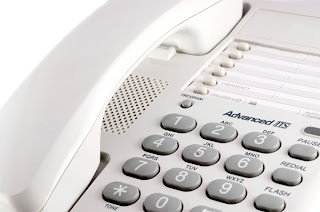 This is a two way street, if someone calls and says they need to fax something to your office, it will be obvious to them we are a service if we cannot provide your fax number. If they need directions to your office or want to know if you offer a specific type of service, we will again appear to be an answering service if we don’t know the answer to these simple questions. Our account managers will always address this topic when discussing the set up of your account, so if this is a concern for you, please provide our staff the information we need to make this happen. What types of service does AnswerFirst provide? Our staff can perform a variety of different tasks and general messaging, order taking and the scheduling of appointments are just a few of the answering services we offer. We can also transfer callers to your staff as needed and we certainly provide escalation services for many companies who deal with after hour emergencies. We monitor elevators and entrance gates and provide peace of mind to hundreds of companies who rely on us to be their voices in times of disaster. We can take reservations for events, perform check in duties for employees and can even wake you up in the morning or remind you of an important meeting. We can also process inbound e-mails in the same manner as telephone calls and we assist many clients with application processing for mortgages and loans. There are so many answering services out there, how can I compare apples to apples? A few key questions can quickly lead to finding the right answering service for your specific needs. First, put a list together of the key functions you need from the service to insure they can meet your specific requirements. Do you need 24 hour service? Do you need bilingual services? What delivery methods do they provide? Do they provide web access to your account information and reports? These are just a few factors in determining if they can provide what you need. Price is always a factor in any successful business relationship, so pay a lot of attention to this area. Do you have to commit to a specified number of minutes or calls? If you don’t use all of the minutes or calls, do they rollover or do you lose them? Always find out the type of fees they can charge you. Do they bill additional for holidays or for forwarding outside of certain hours? For more information about answering service rates and which answering service rate plan is right for you, visit our website: http://www.answerfirst.com or call us at 1-800-645-2616. Unanswered phone calls are lost opportunities. At AnswerFirst, we provide answering services to hundreds of law offices, lawyers and attorneys across the country. Our agents act like your receptionist, answering your calls as if they were on-site at your practice and handling your clients as if they were their own. Our operators can schedule appointments, answer basic questions about your practice and more. "I just had a call patched through and the customer had this to say about her experience with the girl who answered the phone. I just wanted to pass that along. I'm not sure who took the call but figure your records will show that. Anyway, thank you and good job!" Looking for Medical Answering Services?? *Customized protocols for ER and routine call triage and dispatch. "I am in the process of making some big changes to my answering service account. Thank you very much for your prompt attention to this. Reminds me of why I tell every business owner I meet to use you guys!" Our reservation specialists help free you and your staff from this time consuming task so you can better focus on other objectives. You get an easy cost effective solution which saves time, prevents overbooking, and exceeds your client expectations. Please be sure to ask your answering service sales representative about the various solutions we offer. We can utilize your web site for reservations and we also offer an in-house solution. Messages may be delivered in a variety of ways: hold for call in, call out (to cell phone, home phone etc. ), digital page, alpha-page, e-mail, fax each as taken, voice mailbox, fax summary and e-mail summary. Today’s business climate and the introduction of the World Wide Web have transformed many traditional businesses into international businesses. Our international call center can provide not only nationwide service in the United States, but international service as well. We provide toll-free service for inbound callers from selected countries and we also can make outbound calls on your behalf to any country. With clients in Ireland, Australia, India, Canada, Mexico, England and a host of others, our center has the experience and reliability necessary to provide you a cost effective solution which meets your need. Our international service provides English speaking operators for your use. Efficient, friendly and helpful operators who consistently maintain a “May I Help You” attitude helps provide your business a solution to a variety of needs in the international marketplace. Plus, our U.S. based call center is open 24/7/365 and staffed with U.S. agents. We provide international service on a 24/7 basis and can deliver messages or data by a variety of means. Calls, text messages, faxes, e-mails and web access are a few of the methods available to you. Billing for international service is simple and straightforward. 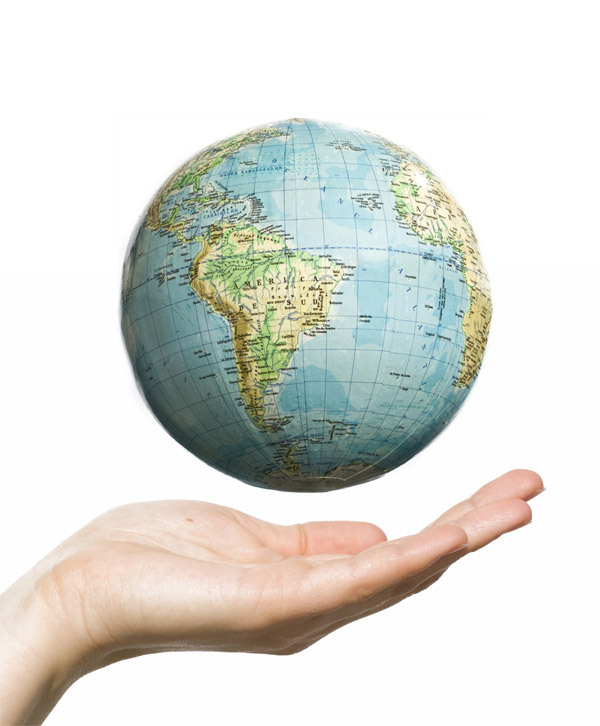 The cost for international calls on a per minute basis is simply added to our normal charges. To get more information about the various per minute rate for countries, please give one of our account executives a call at 1-800-645-2616. The best plan for your business in dealing with disasters is to be prepared before the disaster occurs. Disasters, natural and man-made, are sometimes unavoidable. AnswerFirst is uniquely positioned to help you respond, survive and recover when the unexpected happens. 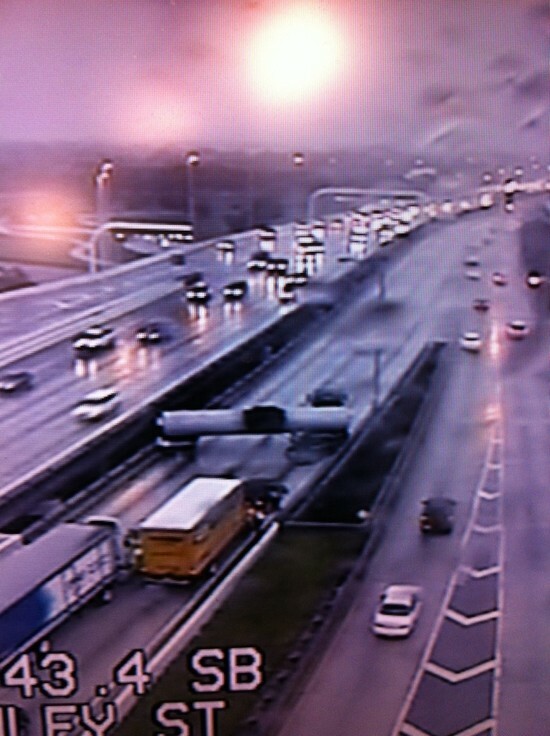 Unlike many businesses, our lights will be on during an emergency. We have full battery backup systems plus a diesel generator for long outages. We also have redundant T-1 and PRI telephone circuits to our center which are not reliant on a single vendor. As mentioned, the key to working through disasters successfully is to plan your response for them before they occur. Arrange to seamlessly redirect your calls to AnswerFirst. Let our agents act as your emergency communications go-between. Create a disaster readiness strategy with us that works well for your business. You may choose to have only our center as your disaster center or we can arrange for a redundant solution where another of our centers would be a “backup” for our primary center. Employee Contact Center - Consider the business impact if your primary communications are inoperable and the affect it will have on your emergency operations. Vital personnel must first be made aware of an emergency before any emergency contingency plan can be put in effect. Communications are needed to report emergencies, to warn personnel of danger, to keep families and off-duty employees informed about what's happening at the facility and to direct response actions. How can you keep the lines of communications open in the event of disaster? How will you get in touch with your employees or they get in touch with you? 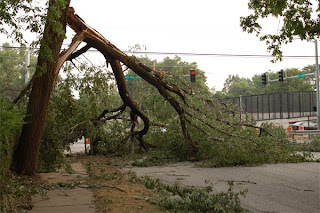 Since disasters come in all shapes and sizes, it is important to plan for all possible contingencies whether the outage is short term or temporary in nature or a total communications failure. The best place to start is to analyze the everyday functions performed by your facility and the communications, both voice and data, used to support them. Tier One Customer/Vendor Contact Center - How will your customers react if no one answers your phones? How will you keep in contact with customers and suppliers? How will they know when your services will be available again? Don't make the mistake of letting them guess what has happened, our call center can act as the temporary go between to keep you customers and vendors informed. Silence is definitely not golden in a situation like this, if you do not keep your customers informed, they are likely to start looking elsewhere for your type services. 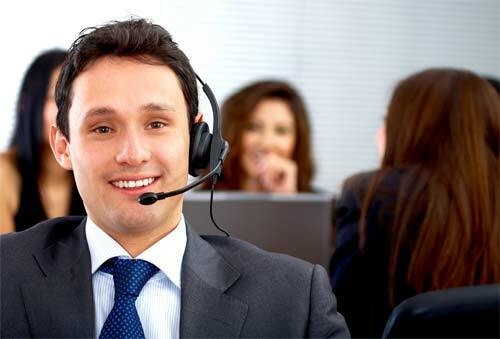 Automatically transfer your customer calls to our answering service and we'll keep your customers informed and happy. 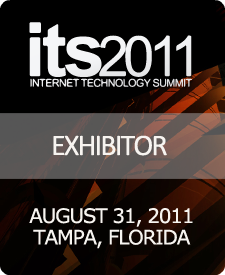 Tier Two Customer/Vendor Contact Center - We can assist in keeping some of your primary business functions operational. We can re-direct shipments from vendors, process orders and serve your company in a variety of ways in your time of need. Talk to one of our sales associates for details about some of the custom solutions we can offer in this area. There are many communication options available and the crucial factor is redundancy, do not rely on a single type of backup communication for all of your business functions. Should that single backup communication type fail in the disaster, you’ll have nothing to fall back on. Contact us today for more information about how we can help you be prepared for a disaster. Is it most important that your callers are greeted by a friendly live voice thanking them for calling your company?? Is it more important that the information gathered from your callers be accurate and delivered in a timely manner? Of course, these things are important. You are not alone in your realization that the staff of a call center answering your business calls are the face of your business. Callers dial your phone number and a call center operator answers in your name; why wouldn't callers assume they have reached someone at your office? While every business would like to have every call answered by a live person every time and while every business would like for all information to be totally accurate 100% of the time, business owners must realize that almost no system works perfectly. You know that even your own staff will make mistakes from time to time and you know calls can be missed on occasion by your staff, your staff is human after all. At AnswerFirst, we maintain or exceed the three main citeria for excellence and try to make it as easy as possible for our clients to know exactly how we are performing on their accounts. Through our Client Web Access feature, clients have the ability to run a variety of reports in real time to guage how well we are doing. Not only can you see our performance statistically, you can listen to your calls, view your messages and web form submissions and view your account screens with this feature. We WANT our clients to know how we are doing. It is only through our client's feedback can we improve on our performance. 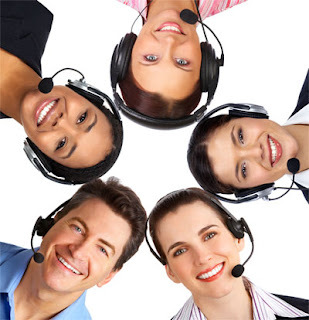 A quality call center can be an enormous help to many businesses, but have limitations just as any other business. Ours is a business powered by people and people can make mistakes. We think one of our best qualities is how we react to those mistakes to insure they are not repeated in the future. People are also our biggest strength; cheery, helpful and efficient operators can add immeasurably to the satisfaction of your clients. Contact us today for more info about answering services, call center and virtual office solutions: 1-800-645-2616 or our answering service website. What technical support services does AnswerFirst offer? Our technical support representatives will field your first level support calls transparently as though they worked directly for your company. For example, our agents can answer questions, log trouble tickets and issue registration keys. Our services allow you to make technical support available to your customers 24 hours a day, 7 days a week. Live call monitoring, review of call recordings and one-on-one training with our staff are all part of our comprehensive solution for specialized technical support accounts. Our nationwide call center is a fully web enabled, true 24/7 service, so you are never charged extra fees for holidays, weekends or nights. Our true one second billing also insures you never need worry about minutes being rounded up - you pay for EXACTLY what you use each month. With our call center you do. Most services offer discounts for prepaid packages; these packages are very difficult to utilize because they require you to forecast your incoming calls. If you buy too many minutes or calls then nothing rolls over and you wasted money paying for services you didn't use. If you purchase too few, then you end up paying exorbitant overage fees. For example, if you sign up for 1000 minutes and only use 400 minutes, you'll have 600 unused minutes that don't rollover. If you sign-up for 1000 minutes and you use 1200, the additional 200 minutes are billed at a much higher rate than your package minutes. Our billing system automatically discounts your rate EVERY billing cycle when certain thresholds of call volume are reached. For example, if 1000 minutes are used in a billing cycle your invoice will be automatically discounted to our 1000 minute package rate; there is no need to commit to anything. The higher the volume the larger the discount and you are not obligated to use any amount of minutes per billing cycle. Just pay for what you actually use. Do I have to sign a long term contract to use your answering service? No, the initial contract period is 12 weeks or 3 billing cycles. The commitment over these 12 weeks is the three base rate charges plus whatever usage is incurred. Should you decide that you don't want to use our services, simply provide 28 days written notice at any time to cancel. An answering service account may also be deactivated at any time, which is like turning off the switch so no further calls will be received. Remember, there is a very small base rate and no additional charges unless we actually answer your calls. Millions of Americans have stepped out of the corporate world and into the realm of providing freelance services. Many freelancers think that being their own bosses will mean more flexibility in their schedules, more independence and potentially less hours at work. Unfortunately, freelancers are just like any other business owners in that they have to manage all aspects of their businesses from generating leads to handling customer service issues and maintaining their accounting; this type of commitment usually ends up requiring more hours per week than a regular full-time job. How can these entrepreneurs shed some of their responsibilities and focus on the important aspects of running their own businesses? Utilizing a telephone answering service is one method of reducing workload while not sacrificing their clients' customer service experiences. 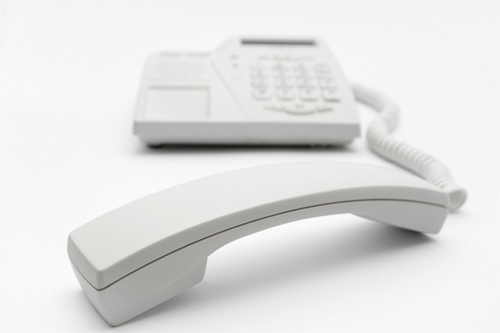 How does a telephone answering service work? For a monthly fee, a real person answers a business's phone calls 24/7. The service will take messages, screen out telemarketers and other useless calls, set appointments and even answer basic questions about the business. This gives business owners more time to focus on other important tasks while still presenting a professional face to all current and existing clients. You can contact Teri directly at 1-800-645-2616 for more information about AnswerFirst and their answering service and call center solutions. Mention this video for 25% off your first month access fees. "I am thrilled with the answering services you are providing. You are a huge help to me and I am glad I am with you. Your agents are always professional and courteous and you are batting 1,000 in my book!!" Thank you for your business, Matt! Contact us today for more information about how we can help you save money and provide better customer service to your clients. What professional organizations should my answering service take part in? From the Florida Parking Association for members of the parking industry in Florida to the Institute of Electrical and Electronics Engineers for technical professionals and students, there are professional organizations for almost any industry that you can imagine. While it's not crucial that you do business with a company that is involved with the professional organization in their particular industry, it is usually a good choice. 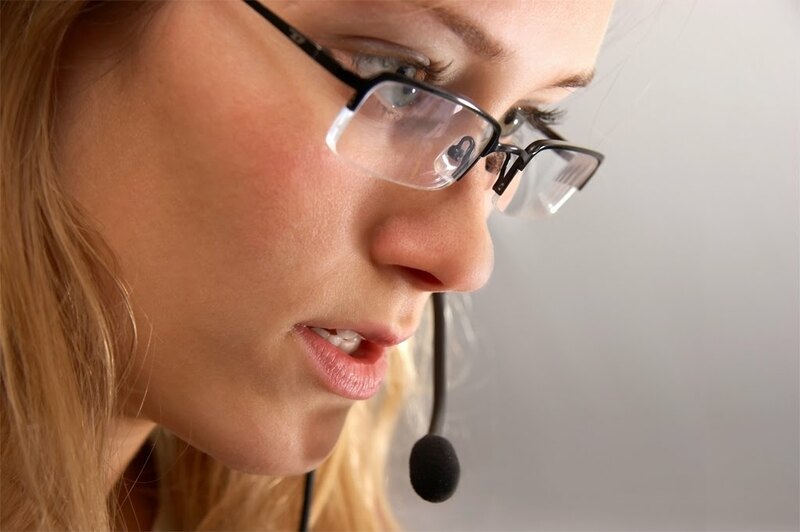 There are several organizations that focus on the call center and answering service industries including ATSI, CAM-X, STA and WSTA. We strongly suggest that you choose an answering service that is involved with at least one of the call center professional organizations because it is an indication that the answering service is investing in their own education and interested in providing excellent service. 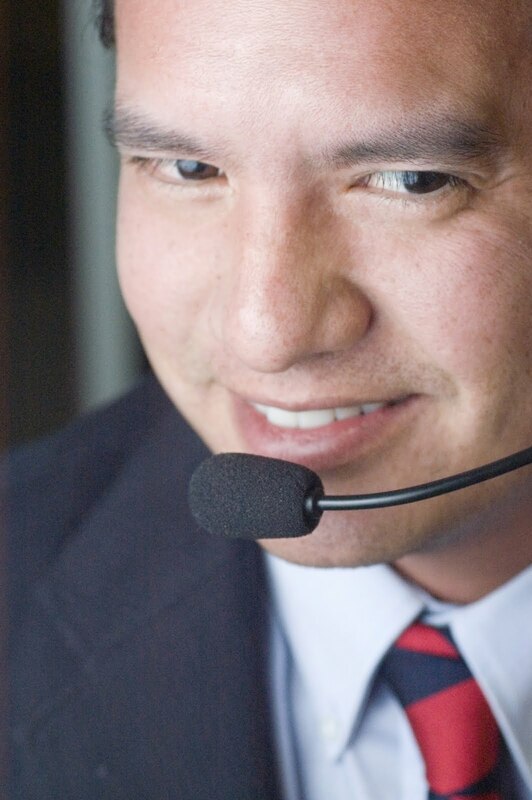 ATSI Certified call centers are known to have particularly high service standards. For more information about ATSI, click here. Accounts and services are billed for the time actually used. Because all usage is billed in arrears, there is never a reason to worry about changing rate plan size nor is there ever any concern about paying for unused calls or minutes. There are also never any unexpected "overage" fees. "I love your answering service! I trust that every time I forward my phones, they will be answered professionally and timely. I just want to take a moment to say 'THANK YOU' for your hard work. I sincerely appreciate what you do!" AnswerFirst Communications, an international telephone answering service and customer service solutions company specializing in answering & messaging services, virtual receptionist and call center solutions, announced this week that they are now a corporate sponsor for the Association of the United States Army Suncoast Chapter. The Association of the United States Army (AUSA) is a private, non-profit educational organization that has been supporting America's Army - Active, National Guard, Reserve, Civilians, Retirees, Government Civilians, Wounded Warriors, Veterans, and family members since 1950. The AUSA represents every American Soldier by being the voice for all components of America’s Army, by fostering public support of the Army’s role in national security and by providing professional education and information programs. AUSA works to support all aspects of national security while advancing the interests of America's Army and the men and women who serve. AUSA also provides numerous professional development opportunities at a variety of events both local and national. The Suncoast Chapter includes MacDill Air Force Base, home of the US Central Command and the US Special Operations Command both of whom provide operational support for the Chapter. 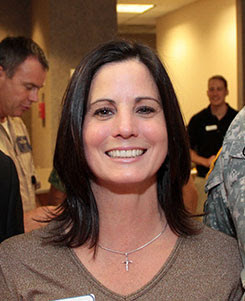 Teri Erickson, Business Development Coordinator at AnswerFirst said, “We are honored to be able to help the Association of the United States Army Suncoast Chapter provide recreational and educational opportunities to soldiers and their families, corporate sponsorship provides us with the ability to show our support for our troops”.